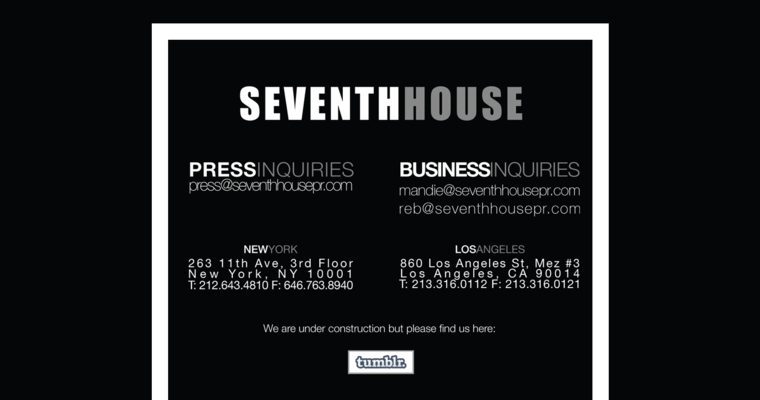 For over a decade, Seventh House has been a premier marketer to a number of fashion, lifestyle and luxury brands. 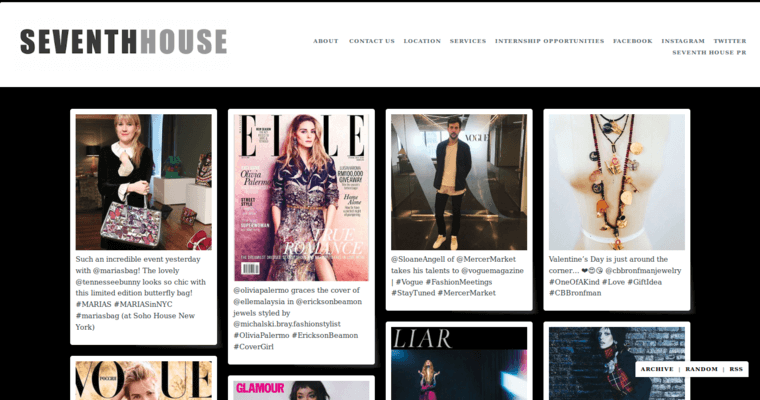 The firm offers a number of services including public relations, marketing, creative services, digital services, fashion shows, celebrity dressing, social media, brand consulting and influencer engagement. Seventh House uses it strategic partnerships in fashion, art, music, entertainment and media to craft strategies for their clients. The firm's work has been displayed at Art Basel, Time Square as well as a number of premiers and private events. Major national brands that have worked with Seventh House include AT&T, Buick, Fab, ISSA, JC Penny, Radio Shack, Red Bull and Target. The firm currently has offices in New York and Los Angeles.